Can Glendale Absorb Its Growing Housing Supply? The apartment supply in Glendale has grown 10% in the last few years, but even as the biggest project yet, Next on Lex, is delivering, absorption and rents remain strong. Apartment demand in Glendale is seemingly insatiable. The apartment supply has grown by 10% in recent years, and yet, both absorption and rent growth remain strong. Now, the largest project yet is delivering in phases through the end of the year to test the demand. So far, demand is continuing to outpace the new supply. 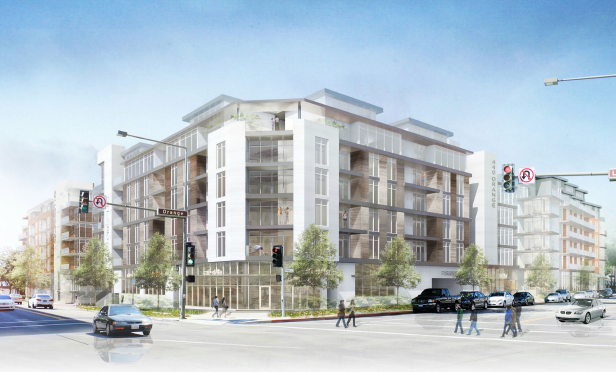 Next on Lex, from developer Century West Partners, is a 494-unit apartment property with 8,100 square feet of ground floor retail space in Downtown Glendale. The first phase of the project delivered this summer and is already 60% leased. Phase two delivers in November and the final buildings deliver in early 2019. “We delivered phase I this summer, and it is already 60% leased. In a new building you usually get a lot of early leasing activity. We are scrambling to get building B done in November or we will run out of units. The final phases will delivered early 2019. The staggered deliveries help. There is only one other building in lease-up in Glendale, and the occupancy is extraordinarily high. Everyone is in the 90% range,” Kevin Farrell, EVP and COO at Century West Partners, tells GlobeSt.com. Farrell says that not only has leasing activity been strong, but the firm is meeting pro forma rents that included rent growth for this year.